Enter engraving details below. You have free engraving in one location. Please select the options below the engraving entry boxes. The charges will be determined by your selection of engraving locations. Not all lines have to be used. 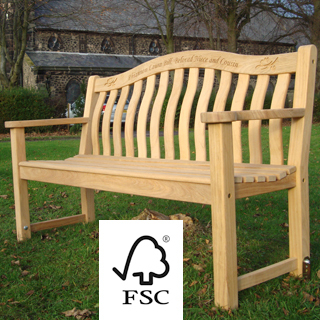 Lilly memorial bench features beautiful design and simplicity. 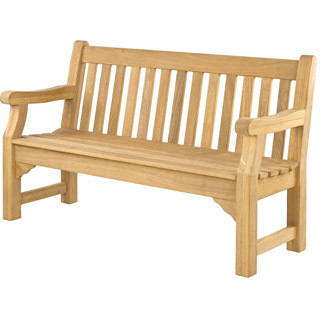 This bench has been created with total comfort in mind. 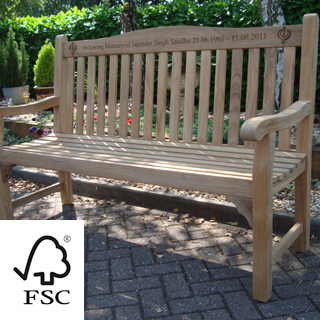 The Lilly memorial bench range is made of softwood but has been pre-treated to provide protection from rot and insect attack so it can be left outside all year round. 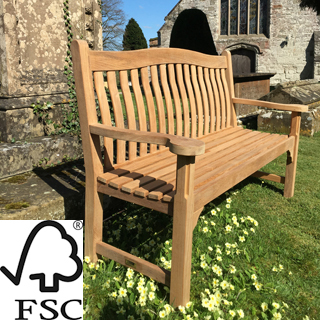 This is a comfortable, hardwearing and strong bench perfect for public places such as parks, church yards, cemeteries, bus stops, schools etc. 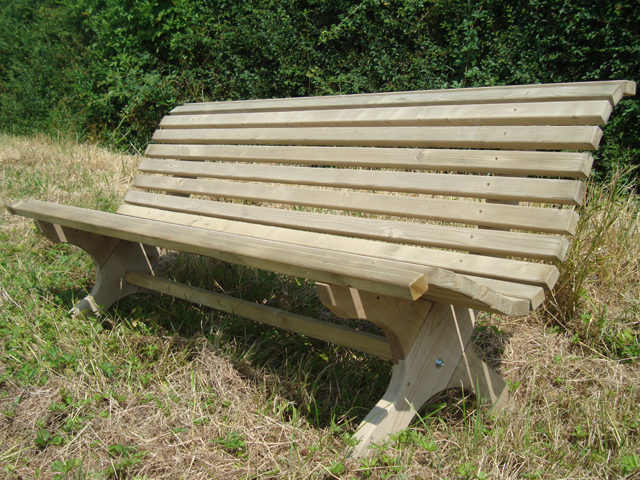 All benches are delivered assembled. 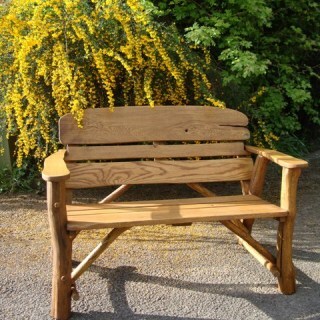 The Lilly range is made of kiln dried pine. 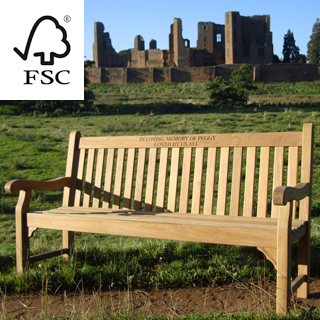 The benches have been pre-treated to category 3 to protect against rot and insect attack for a minimum of 10 years. Solution used for treatment has an initial green colour. The intensity of the green colour increases with the content of resin in timber. Green spots indicate good quality of wood. Upon external exposure the green colour slowly weathers to a warm brown colour and in the longer term weathers to a silver grey colour. This does not affect the performance of the preservative. 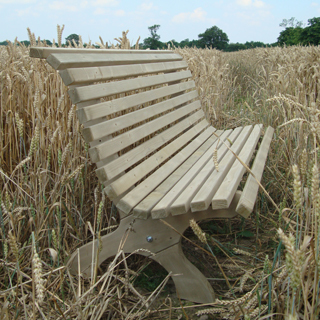 To minimise twisting and warping all benches should only be used on firm level ground. 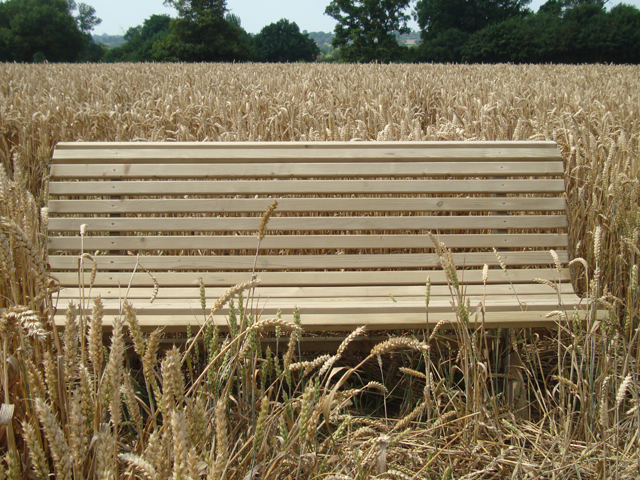 Softwood is a natural material which can twist and split during periods of wet / dry, hot / cold weather. If cracks do appear it is a natural occurrence and not a fault with the product or material. The best way to treat this is to use a cloth and rub a little PVA wood glue into the crack and once dry sand the area lightly. This will not affect the treatment of the product. 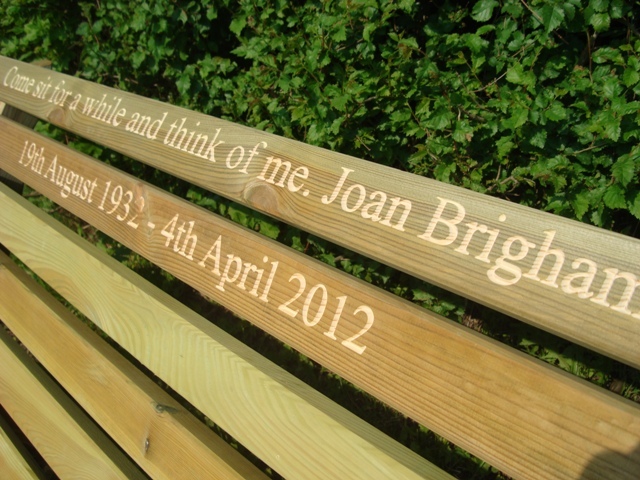 One engraved inscription is included in the price of your memorial bench. 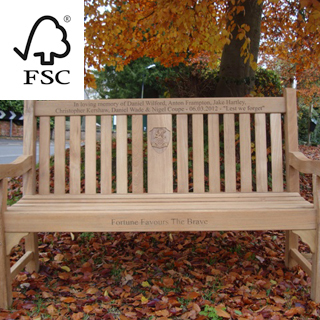 You have a choice of a computer controlled engraving direct into the top rail of the bench, brass plaque or laminate plaque. The maximum number of carved letters for this bench is 50 characters per line / rail (including spaces), this bench can accomodate 1 line on each rail.